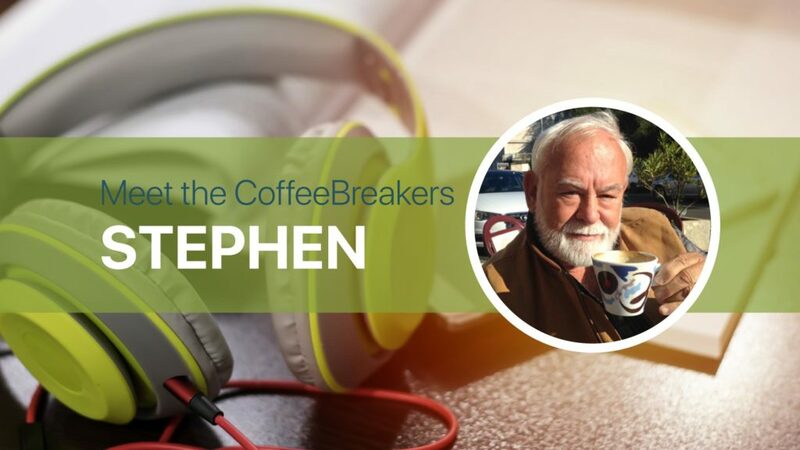 Stephen, a 68 year old retired fine arts teacher from California, has been long term member of the Coffee Break community. He recently told us all about his language learning journey, starting with where his love of French began: “I’m an amateur wine maker and I started out just being a wine lover and I like French-style wines. As I neared the point of retirement, I said to my wife, ‘I really wanted to go to France and taste wine’. And she said, ‘alright, the Fall after you retire, we’ll go’. So, within the year I got retired and sure enough we went. As soon as my daughter heard we were going, she sent me a package of 5 Pimsleur lessons. I’ve been learning French ever since. We’ve been back to France twice now. The first time I went I wanted to be able to speak French to French winemakers but I was pretty much limited to bonjour and au revoir. I’ve fallen in love with French and I love French culture”. 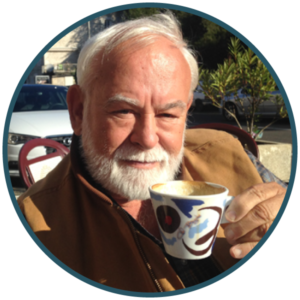 Stephen reveals that Coffee Break French is now the main resource he uses to learn the language.“If I had to say one source for learning French, it would be CBF … I keep sending people there. I’m dabbling a little bit in Spanish because in southern California we’re almost bilingual. Basically, my major focus is on French. I belong to a French Meet-Up. That’s a formalised group that meets a couple of times a month to go back and forth in French. It was kinda fun because a couple of the members are native French speakers. I use that, but it always goes back to the same thing, CBF teaches me and challenges me above my current performance level, and, as a teacher, I know if you want somebody to grow, you gotta make’em reach. So, I’m always stretching to keep up”. He also uses an number of other resources to compliment the podcasts: “CBF is my primary instructional source for French. … I read my niece’s High School French textbook and I subscribe to TV 5 Monde on Cable TV. I listen to the News in Slow French and I read a few children’s books. I translated my grandson’s copy of The Cat in the Hat. Right now I’m wading through ‘Le Petit Prince’”. Stephen explains how he discovered Coffee Break French: “I went searching for French-speaking clubs and found the Meet Up and and then found CBF. I did 1, 2 and 3 and at the end of 3, I realised I needed the extra content that they’re giving in the bonus, in the premium version. So, I bought the premium version and it was well-worth the purchase. I realised, I’ve got these things permanently, I don’t need to print them out! I can just pull’em up and look at it! The thing that got me to CBF was when I stumbled across ‘Walk, Talk and Learn French’”. Stephen often listens to the podcasts while he is walking his dog: “I’m taking a walk that’s usually the same route and it’s always the same number of people that I see and know, and I’m blathering away in French or listening to it at least,….I also have it rigged so that I can play it on the Bluetooth in my car. I will occasionally, with the Masterclass, plug it in and listen to it on my desktop computer. I find that my attention focuses better if I’m engaged in some other activity. If what I’m doing doesn’t have variety in it, then I start to get bored and my attention drifts”. Stephen has to head off to do some supply teaching, drawing our chat to a close. However, before he leaves, he positively sums up his experience with Coffee Break: “I really, really value the in-depth explanations of various grammar issues. It allows me to put it in the context of a sentence. And it’s very useful, the little brief asides that are made culture and the cultural context of the language. When I was in meetings with the Meet Up group I ran into one woman from South Africa so, she has a way of speaking French and I have connections-in-law that are Québecois and they’ll correct me. But mostly having Mark’s commentary on cultural context, how this fits in the culture and why this means something in French culture, really matters to me. He made a comment just the other day on the latest episode of Masterclass, when. He did episode 6 about leaving ne out of negations, je sais pas like that. I feel like I have made terrific progress and I give the credit to Mark because he makes it entertaining. It’s got variety, it suits me in a place, it seems real. I think his instincts and the directions he’s going are the right directions”. PrevPreviousCBG 2.39 | Wie viele Punkte muss man haben, um zu bestehen?